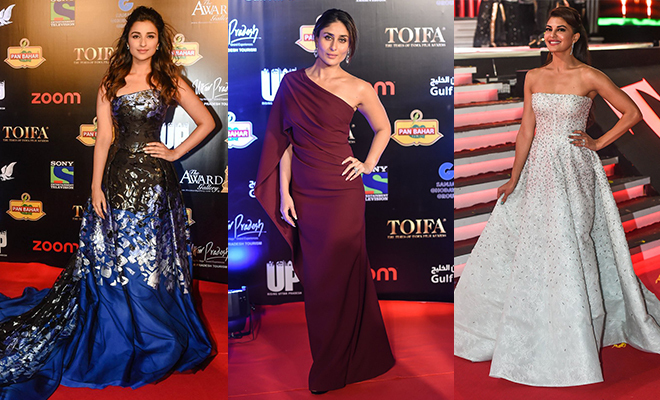 The Times of India Film Awards(#TOIFA2016, Dubai) were hosted recently, and the glitzy, star studded evening had much to boast about. Veterans and newbies alike, the function was attended by all, and the zeal of enthusiasm flowed through the moments to give everyone an evening to remember. Let us take a look at some enthralling moments of the evening, to give you an account of what happened down there, in the starry city of Dubai. 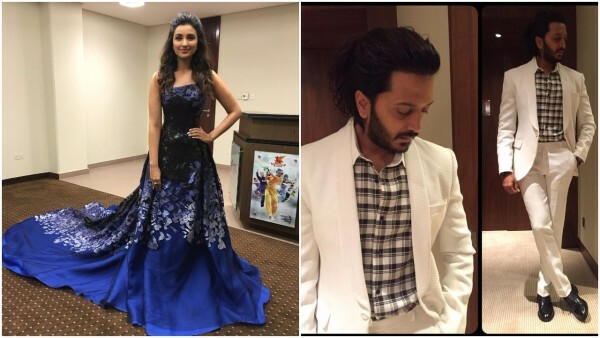 Parineeti Chopra and Riteish Deshmukh hosted the event to perfection, tickling everyone to induce laughter bouts, for an amazing fun-filled evening. 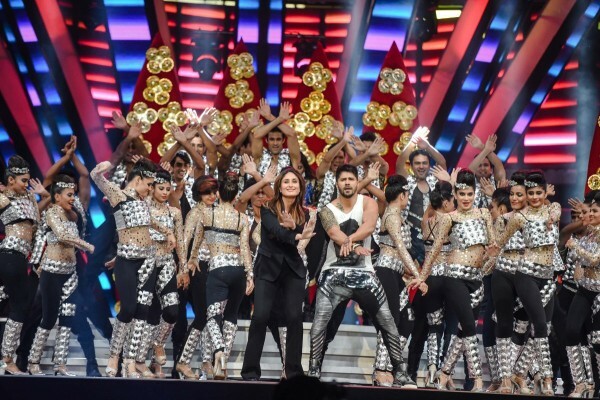 Varun Dhawan and Kareena Kapoor set the stage on fire as they kick started the evening with one electrifying performance on the number “High Heels”, from Kareena’s upcoming movie, Ki and Ka. 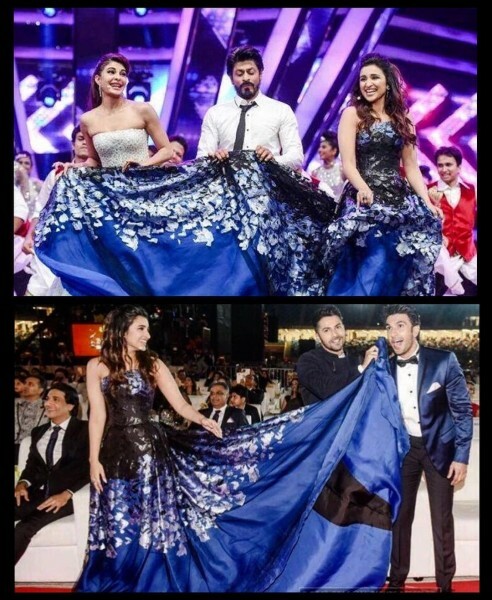 “Lungi dance” of SRK flanked on both sides by vivacious beauties Jacqueline and Parineeti had us falling flat to his charms, yet again. 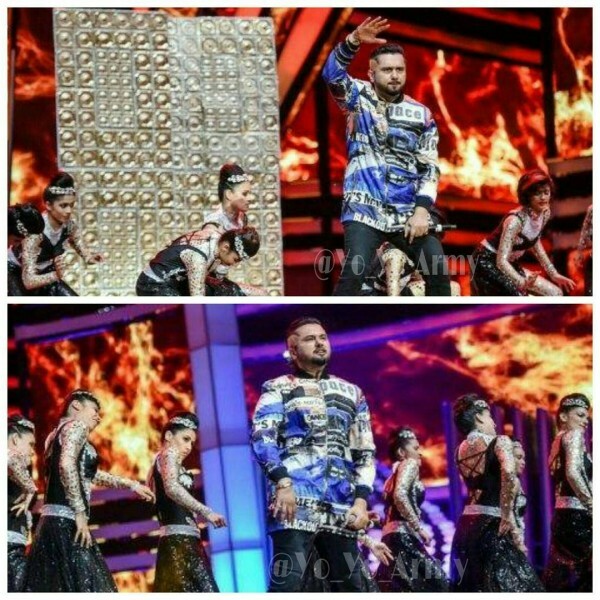 Honey Singh makes a rocking comeback! The rapper who had been suffering from Bipolar disorder, performed to his numbers and proved that the mettle is there to entertain us all. We loved the way Jacqueline joined him on stage and did an impromptu jig on the number “Devil” from Kick. We were just enveloped into a warm feeling of love, when Ranveer won “Best Jodi” award with Deepika, and said things like “I have the most beautiful woman by my side”, and “Deepika is the better half of our Jodi”. King Khan burned the stage down and had our hearts thumping when he performed to numbers like “Gerua” and “Jabra FAN”. This man sure knows how to lure his die-hard fans. 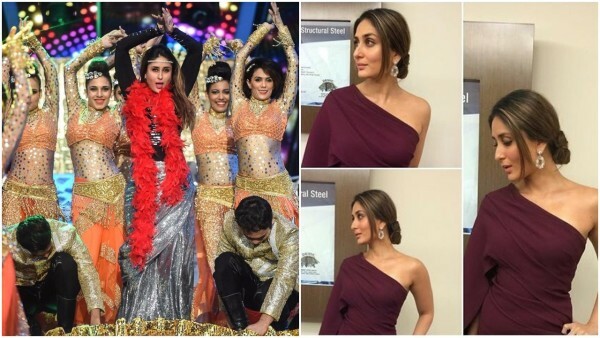 Kareena Kapoor Khan bewitched and enthralled us all as she brought down the stage with her enchanting tribute to the divas of the yesteryear’s. One more tribute! That too by the funkstar of the year! Ranveer Singh grooved and moved to the medley of superstar Amitabh Bachchan’s songs, and had us all going gaga, including the megastar himself. 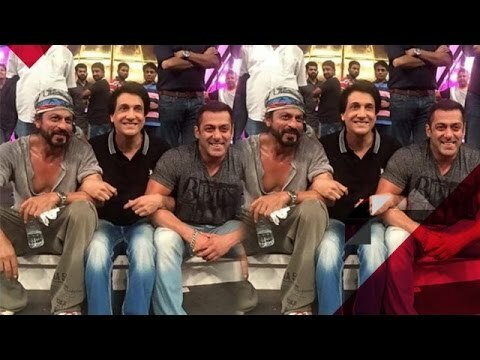 Sneak Peak Highlight – Salman and SRK bonding backstage while practising their respective performances. Sure a moment to remember. Previous : 7 Saree Styles to Pick From Sonam Kapoor’s Wardrobe For Diwali!